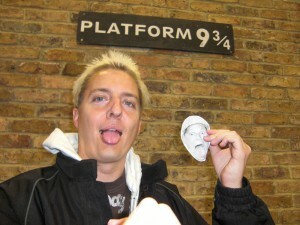 Ted Murphy went to meet Harry Potter on the Hogwarts Express leaving from London Kings Cross. Ted’s a travelin’ man! I’ve seen him in nearly every US State, in Canada and now in GB.